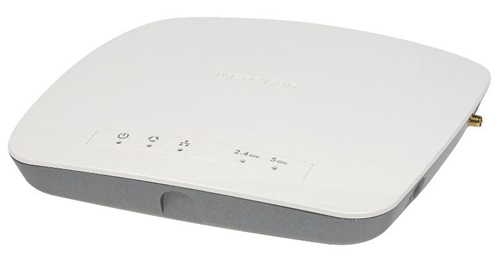 The NETGEAR WAC720 ProSAFE Wireless Access Point is a high performance dual band 802.11ac AP supporting up to an aggregate throughput of 1.2 Gbps (300 Mbps for 2.4 GHz and 867 Mbps for 5 GHz). WAC720 Business Access Point operates in either standalone mode with an intuitive user interface or in Ensemble mode for centralized group management of up to 10 AP’s of the same model. It is perfectly positioned for customers demanding high throughput, ultra-superior performance, and extensive coverage for deployment in small to medium enterprises, K-12 education, and mid-sized hospitalities. The WAC720 Wireless Access Point comes with lifetime warranty and 24x7 chat support to give user a piece of mind of uncompromising quality. Controller management by WC7600 and WC9500 allowing centralized management up to 600 Access Points in a cluster of controllers. Business Central management allowing Access Point to be centrally managed with secured and flexible cloud platform. 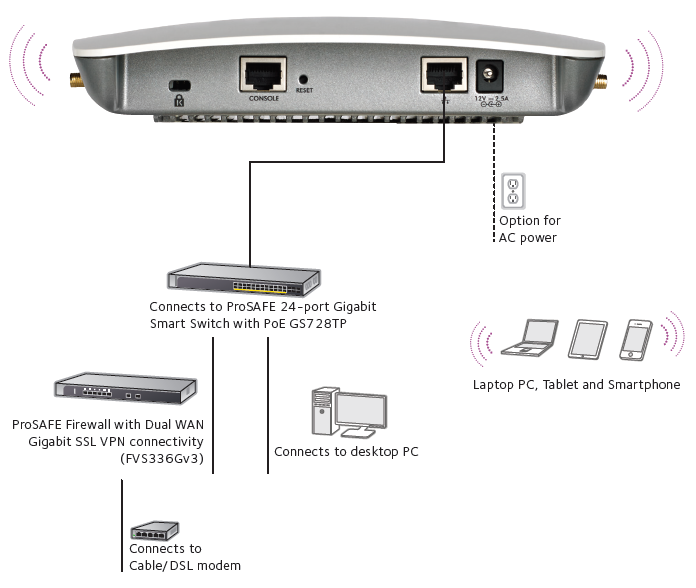 The ProSAFE WAC720 combines high-performance, 802.11ac performance with smartly designed multiple management modes (Standalone, Ensemble) with a user interface that is simple to use and ease to manage. A truly unified solution that brings centralized management without the complexity. NETGEAR ProSAFE Lifetime Hardware Warranty. ProSUPPORT Lifetime Chat Technical Support (Remote diagnostics performed by our technical experts for prompt resolution of technical issues). ProSUPPORT 90 days(24/7) Live Phone Technical Support during business hours. Lifetime Next Business Day (NBD) Hardware replacement (See http:// onsite.netgear.com for coverage, availability and terms and conditions). Download the NETGEAR WAC720 Datasheet (PDF).